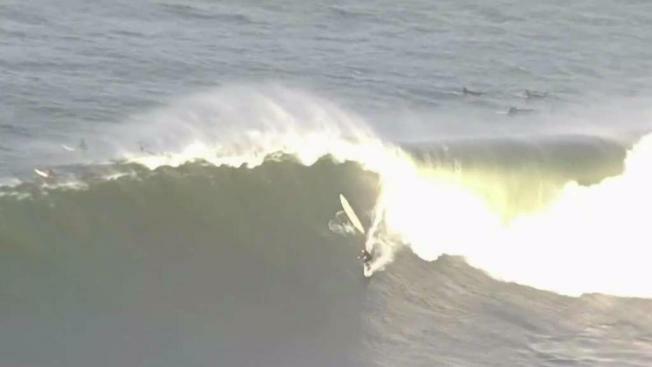 The Mavericks big-wave surf contest could be a "go" this Monday. Sources say the World Surf League met throughout Thursday eyeing the Martin Luther King Jr. holiday as a day to kick off the event at Pillar Point near Half Moon Bay. MLK Day was previously a blackout day, meaning the event could not take place that day. But the blackout was later lifted, opening up the possibility the contest could begin Monday. NBC Bay Area has been told some emergency response agencies have been on constant alert for the possibility of a contest sometime next week. As NBC Bay Area has been reporting, the WSL bought the rights to the surf contest after the previous organizers declared bankruptcy. Sources say a decision could be made as early as Thursday evening.